This Viking sword is based on a sword found in the River Witham. Two Viking swords were found in this river, both of which are kept in the British Museum in London. 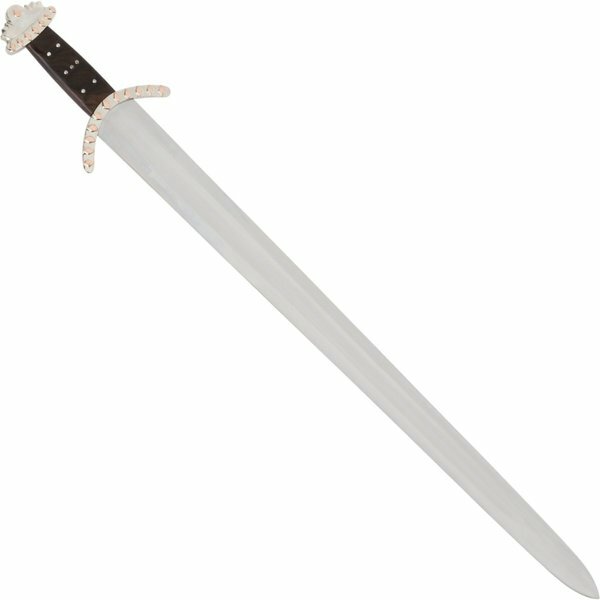 The original on which this sword is based has an Ottonian-made blade and the grip was made by an Anglo-Saxon craftsman. It was found in the river opposite Monks Abbey. The grip has lozenge decorations inlaid with silver and copper alloys. The sword is characterized as a Petersen type L. The original also has an engraving in the blade (+ LEUTLRIT), but this replica does not have this. With this replica, an attempt was made to approach the lozenge decorations on the guard and the pommel of the original. The grip is also based on the original with the steel fittings. The blade is made of carbon steel and is semi-sharp so only suitable for decoration. The grip is made of wood. 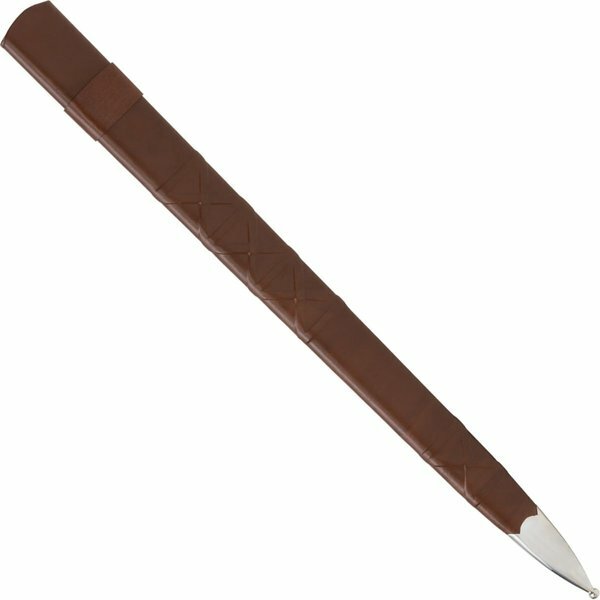 The sword comes with a wooden scabbard covered with brown leather. The scabbard has a steel fitting.